New England Kenworth is always on the look-out for qualified candidates to join our team! To apply, download our fillable employee application by clicking the "Download" button to the right. Be sure to choose the position you are applying for. Submit your completed application and resume by clicking the button below. Family owned and operated since 1917! 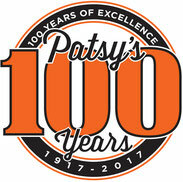 Thank you to all who made our 100th anniversary a success! Congratulations to all of our grand prize winners!